The next part of our journey takes us deep into the heart of South Australia and onto the Oodnadatta Track. En route to the Oodnadatta Track we stop at the amazing Flinders Ranges National Park. Situated some 400km’s north of Adelaide the towering peaks of the ranges shelter spectacular gorges, creeks and an abundance of wildlife. The beautiful Wilpena Pound forms the park’s heart, making for a wonderful backdrop to the surrounding arid plains . I have to mention the achievements of our two girls Hannah (9) and Gemma (8). Our 23 km walk to the summit of St Mary’s peak was hard enough for us oldies but the girls managed without a whisper of complaint. The views from the peak make all the hard work worth while. Rough roads skirt the perimeter of Wilpena Pound and through the many gorges of the Ranges. The views from Razorback lookout over Bunyeroo Gorge is one the parks highlights. The walls of the Pound and the Hysen Ranges glow a multitude of red hues as the sun slips over the horizon at first light. It’s now time for us to head off-road and onto the Oodnadatta Track. 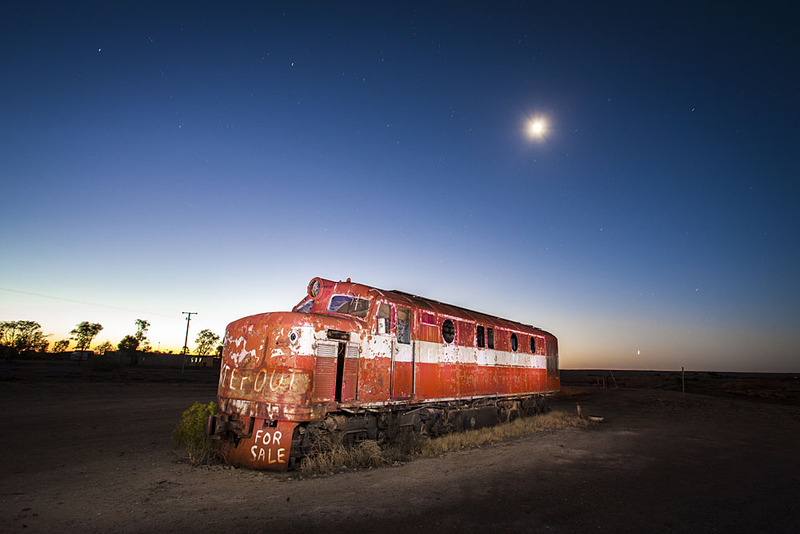 Once part of the famed Ghan railway line running from Adelaide to Darwin, the re-routing of the line in 1981 saw populations along the route diminish leaving behind ghost towns and relics of a bygone era. The track for us starts at the town of Marree. Here I’ve used a ‘painting by light’ technique to capture an abandoned diesel loco that is slowly being reclaimed by the desert. The process involves a long exposure, enabling me to walk around the engine ‘painting’ with my torch. The inclusion of a shining moon really sets the scene. 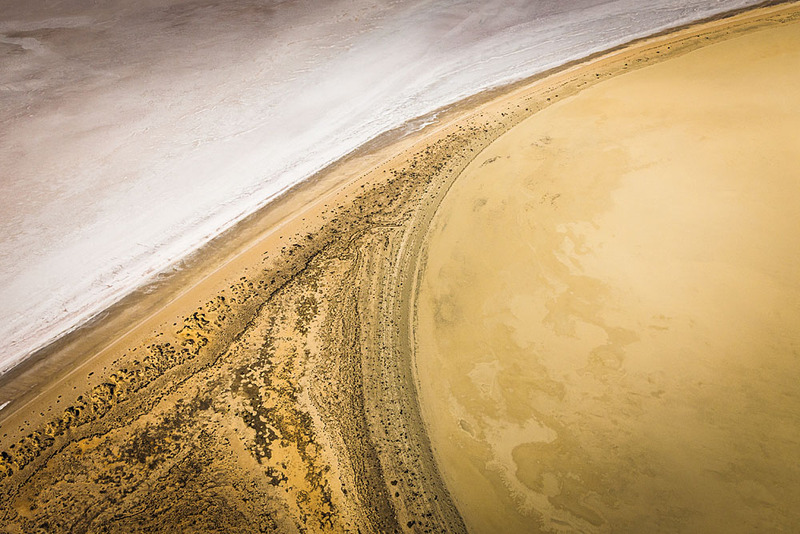 The largest lake in Australia (when full), Lake Eyre is a spectacle that is seen best from the air. We charted a small plane and was taken aloft by our superb pilot Sarah for an unforgettable flight over the lake. 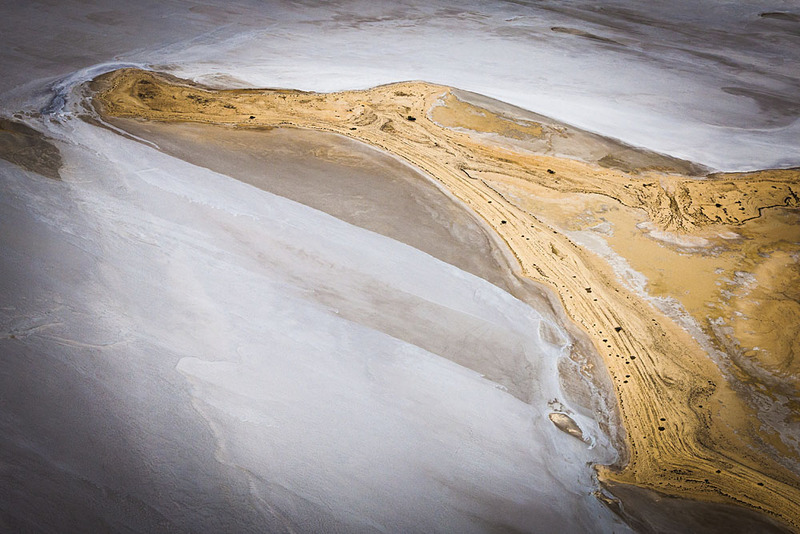 From the air the scale of the lake becomes apparent – a salt pan the size of Belgium. Our flight took us over the southern end of North Lake Eyre, from arid stock pens onto the blinding salt lake itself. 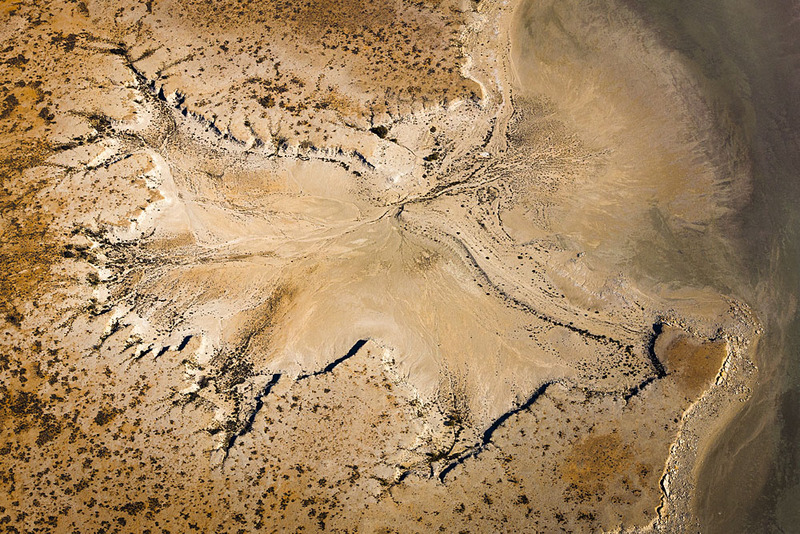 My aim was to capture some of the abstract patterns formed by the receding waters, scenes akin to another planet. Our final stop on the Track took us to the Painted Desert at Arckaringa Station. The beautiful outcrops of rock glow with subtle hues in the pre-dawn light. 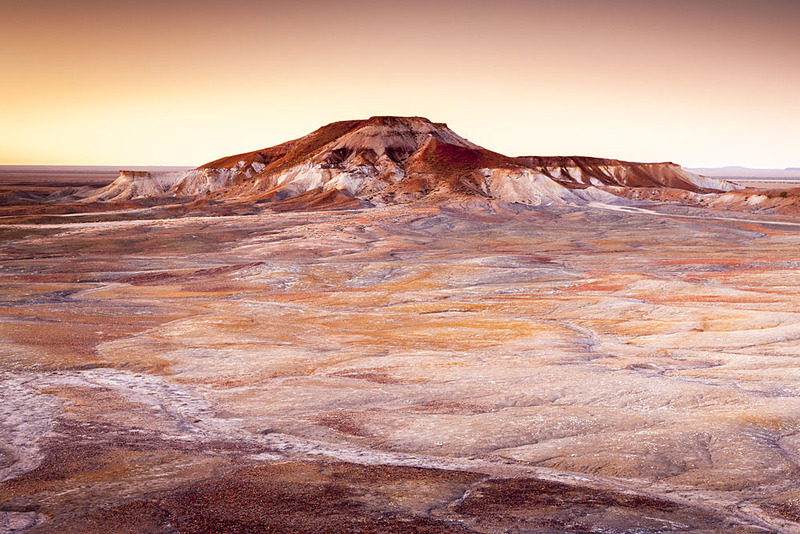 The colours are created from the effects of erosion from an ancient inland sea, the residue and the leaching of minerals in the soil create a wonderful >mosaic of colours. All of my pictures of Flinders Ranges and the Oodnadatta Track are available to buy as high quality photographic prints or on Canvas, I also have many framing options available. 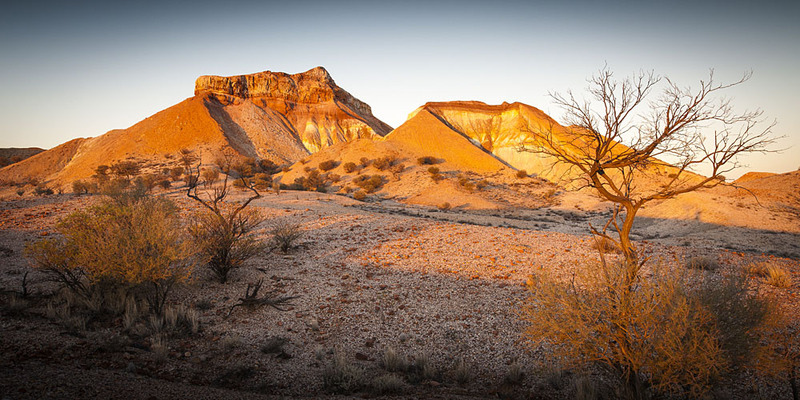 See Pictures of Flinders Ranges and the Oodnadatta Track for print and framing options. For enquires about image licensing and corporate purchases of my pictures of Flinders Ranges and the Oodnadatta Track call Richard on 0410191288.